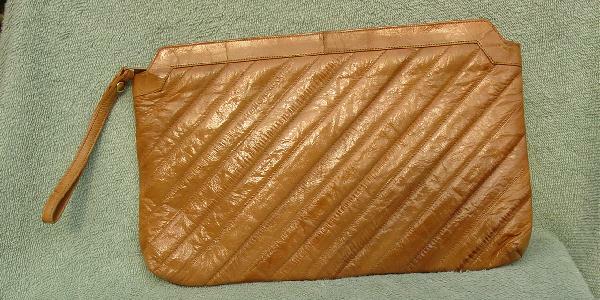 This vintage light caramel eelskin clutch also has a 10" wrist strap. It has a top side-to-side zipper and is lined in light caramel suede. There is an interior zipper compartment that is lined in a patterned fabric.